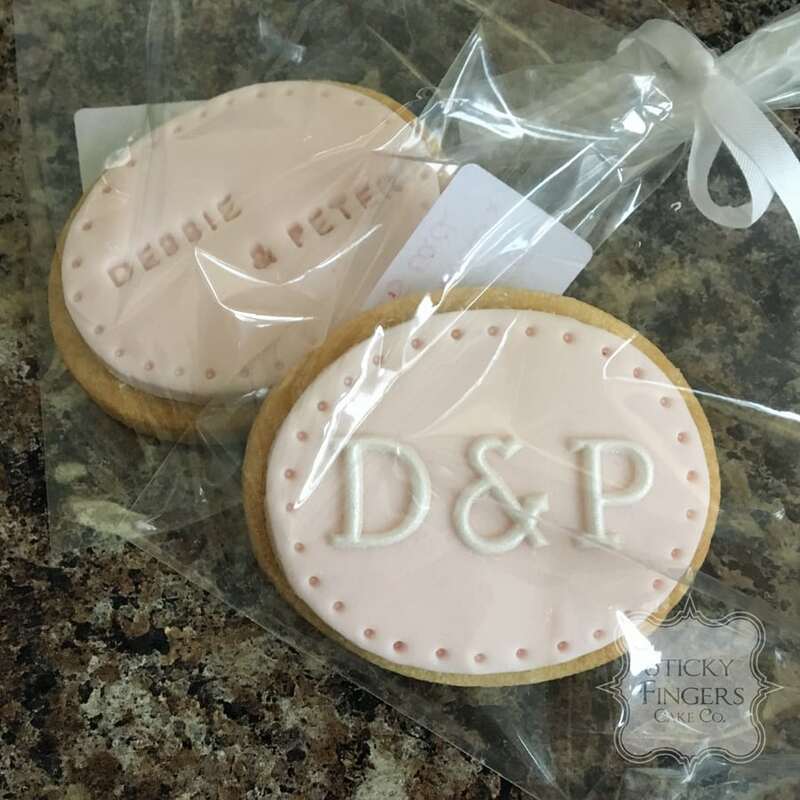 Here at Sticky Fingers Cake Co we’re conscious of the fact that you would like to treat your guests who are celebrating your very special day with you..
Did you know we make cookie favours especially for you to give to your guests? Our cookie favours come in 3 flavours; Vanilla, Lemon or Spiced and can be colour matched to your scheme. They start at £2.75 for a plain iced cookie, which comes gift wrapped. They can be personalised (see the above picture) with your initials or your names and wedding date too or we can make them really special by adding sugar detail or sugar flowers. If you’re interested in our cookie favours please just drop us an email at [email protected] Minimum order is 12.